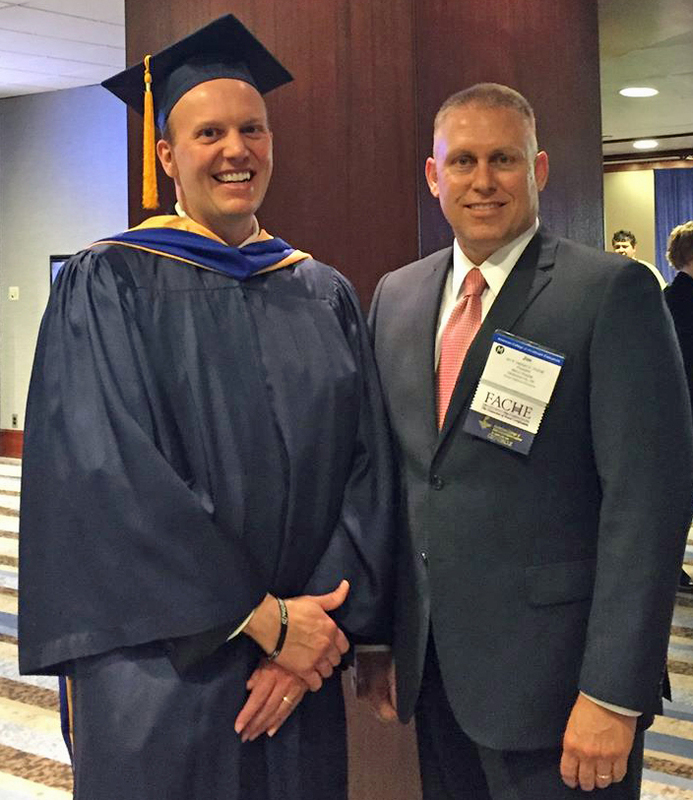 Josh Tucker and Mercy Hospital Oklahoma City President, Jim Gebhart, at the FACHE convocation in Chicago. GUTHRIE, Okla. – It is a goal Josh Tucker has worked toward for more than five years. On Mar. 13, Tucker became a Fellow of the American College of Healthcare Executives (FACHE), the nation’s leading professional society for healthcare leaders. Tucker is one of only a few thousand healthcare executives nationwide with the distinction of a Fellow. It is the highest standard of professional development. Tucker joins the ranks of leaders at Mercy who consider membership in FACHE as vital to their communities. Tucker also had to pass a six-hour long certification exam, and take a number of healthcare leadership classes in Texas. Tucker has served as an administrator of Mercy Hospital Logan County since 2011.